Product code: 1844 Categories: Sold Items, Sold Omega Watches. 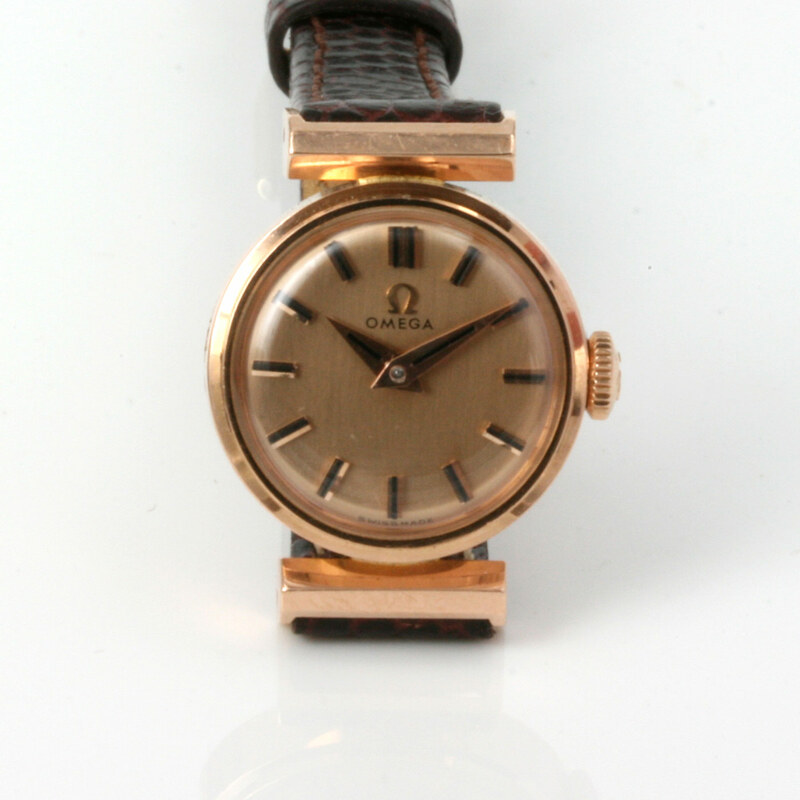 This is one of the most beautiful and elegant ladies vintage Omega watch that you will ever find. From every angle, this Omega is just perfect. Made in 18ct gold, here Omega used rose gold instead of yellow gold, and the colour is perfect with that wonderful warm colour that looks so sophisticated. The rose gold doesn’t stop there as the dial itself is made from 18ct rose gold instead of anodized steel and again the colour is perfect. The lugs of this Omega is what a vintage watch is all about, having that something special that makes it even more wonderful to admire, and those straight bar hooded lug style fittings look simply amazing and it is so hard to believe that this watch was made over 50 years ago yet still looks amazing. Inside this Omega is powered by a 17 jewelled manual wind Omega calibre 244 which has been fully serviced and runs perfect. The rose gold case measures 20mm across plus the crown by 25mm from end to end and this vintage Omega watch is destined to be admired and appreciated every single time that it is worn.